Administrative Law Judge (ALJ) Peter Paul Castillo, Office of Administrative Hearings (OAH), State of California, heard this matter in Sacramento, California, on October 10, 11 and 12, 2012. Attorney Brian A. Gonsalves represented Student. Student’s Mother was present the morning of October 10 and 11, 2012, and consented to the hearing proceeding without her presence. Student did not attend the hearing. 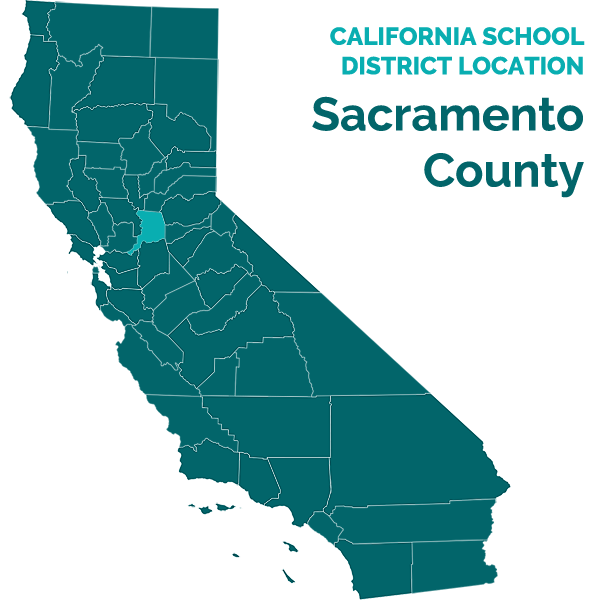 Attorney Daniel A. Osher represented the Sacramento City Unified School District (District). Rebecca Byrant, District Special Education Manager and Special Education Local Planning Area Director, attended all portions of the hearing. 1 The closing briefs have been marked as exhibits. Student’s brief has been marked as Exhibit S-78, and District’s brief has been marked as Exhibit D-48. 2 The issues were framed in the October 4, 2012 Order Following Prehearing Conference, and further clarified at hearing. The ALJ has reorganized the issues for this Decision. Issue 1: Did the District fail to perform its child find duty by failing to provide comprehensive assessments in all suspected areas of disability from September 2011 until May 23, 2012, which denied Student a free appropriate public education (FAPE)? Issue 2: Did the District deny Student a FAPE by failing to timely assess Student upon Parent’s written request in January 2012? Issue 3: Did the District’s June 2012 assessment of Student deny Student a FAPE because it failed to involve the parent, disregarded critical findings, and failed to consider eligibility under the category of emotional disturbance (ED)? Issue 4: Did the District deny Student a FAPE by failing to find her eligible for special education and related services from September 2011 through the present? Issue 5: Did the District deny Student a FAPE by failing to develop an appropriate educational program to meet her individual and unique needs? Issue 6: Did the District deny Student a FAPE by failing to comply with Student’s requests for an independent educational evaluation (IEE) on May 31, 2012, and June 13, 2012? Issue 7: Did the District violate Student’s and Parent’s procedural rights by failing to provide Parent with a full and complete copy of Student’s educational records when requested in February, March and June 2012? Student requests IEEs in all areas of suspected disability including speech and language, neuro-psychological and behavioral assessments; compensatory education in all areas of need as identified by the IEEs, including one-to-one tutoring, and one-to-one or two-to-one class aide; non-public school (NPS) placement and/or services; and transportation costs relating to compensatory education and/or NPS placement. Student asserts that the District failed to comply with its legal obligation to seek and serve Student as a pupil who might require special education services when she enrolled in the District in September 2011, due to her academic and behavioral deficits. Further, the District inappropriately delayed assessing Student for eligibility to receive special education services after Mother’s request on January 10, 2012, as the District did not commence the assessment until May 23, 2012. Additionally, Student contends that the District failed to adequately assess her in all areas of suspected disability as the District did not properly assess Student’s expressive and receptive language, social-emotional, and academic deficits. Accordingly, Student claims the District incorrectly failed to find her eligible for special education services under one or more categories of specific learning disability (SLD), other health impairment (OHI) and/or ED. Student argues that the District failed to either provide an IEE or file for a due process after Mother requested an IEE. Finally, Student contends the District violated Parent’s procedural rights by not producing Student’s complete educational record when requested. The District asserts that the source of Student’s academic difficulties is her poor school attendance and not any qualifying disability as Mother permits Student to miss school. The District contends that it was aware of Student’s absences when she enrolled in September 2011, and worked with Mother to improve her attendance and that when she attended school that her academic ability improved. As to Parent’s assessment request, the District argues that Mother withdrew her request as she agreed to try general education interventions to see if those could improve Student’s academic performance. When the District did propose to assess Student in April 2012, Mother took a month to sign the assessment plan and the District expedited the assessment to complete it and hold an individualized education program (IEP) team meeting before the end of the school year. The District contends that it accurately and thoroughly assessed Student and correctly determined that she does not require special education services. Finally, the District asserts that it provided Mother with Student’s complete educational records and that Mother requested an IEE before the District completed its assessment. 3 Pending at the commencement of the hearing were District’s motions to strike portions of Student’s complaint and evidence related to settlement discussions between the parties. The parties were instructed at the beginning of the hearing that particular rulings as to the admissibility of such evidence would be addressed on a case-by-case basis during the hearing and appropriate evidentiary rulings were made throughout the hearing in response to specific objections and offers of proof by the parties. 2. The term “child find” refers to a school district’s affirmative, ongoing obligation to identify, locate, and assess all children residing within its jurisdiction who are suspected of having disabilities and who may need special education as a result of those disabilities. Specifically, if the District had reason to suspect that Student had a disability and that she may have needed special education and services to address her disability, the District had an obligation to assess her. The relevant inquiry is whether the local education agency should assess the child, not whether the student will ultimately qualify for services. 3. Student contends that the District failed to perform its child find duty to identify, locate, and assess her for possible special education eligibility based on information the District possessed from Folsom Cordova and her poor academic performance during the first half of SY 2011-2012. The District asserts that the information it obtained from Folsom Cordova established that her poor academic performance was due to poor attendance, which led to Folsom Cordova terminating the inter-district transfer, and Student’s poor attendance continued throughout second grade. 4. No one from Folsom Cordova testified as to her academic struggles during kindergarten and first grade. The only testimony came from Student’s Mother, who was not credible in trying to explain Student’s academic difficulties as related to her diagnosis of attention deficit hyperactivity disorder (ADHD). Mother provided no direct evidence as to Student’s classroom performance concerning her ability to attend to teacher instruction, and her explanations as to Student’s excessive absences were not plausible, and her explanation of Student’s absences was not related to any suspected disability. 5. When Mother enrolled Student at Lincoln, she informed the District of Student’s ADHD. The District obtained Student’s cumulative education file from Folsom Cordova, which included information as to her pattern of absences. The information from Folsom Cordova did not indicate that Mother requested that Folsom Cordova assess Student for special education eligibility, or that Folsom Cordova thought that Student might be eligible for special education services. 6. Other than Mother, the only direct testimony as to Student’s performance at Lincoln was from Laura Butler. Ms. Butler has been the principal at Lincoln for six years, and was aware of Student’s academic performance and attendance when Student attended Lincoln. Ms. Butler observed all classrooms at Lincoln and the playground as part of her principal responsibilities. As a result, Ms. Butler observed Student’s classroom for about 10 minutes each week and once a month on the playground at recess. Ms. Butler was aware of Student’s ADHD and never observed Student in class having difficulty staying still in her seat or not attentive to teacher instruction. At the playground, Ms. Butler did not observe any emotional problems as Student played with her friends. Student was never referred for disciplinary conduct, and Student, Mother or Grandmother made no reports of bullying. In fact, Student missed nearly the last three weeks of class before the two-week winter break due to a misunderstanding between Student and her teacher over the teacher’s purported taking of Student’s rain coat for playing around with her cell phone in her coat pocket. 7. Student’s main evidence as to her academic and behavioral difficulties at Lincoln was her report card, in which Student was ‘below basic’ or ‘far below basic’ in nearly every academic subject, including math, reading, social sciences and language arts, and needing improvement as to her behavior. Ms. Butler was convincing that the reason for Student’s academic deficits was her lack of attendance as Student had consistently missed academic instruction during kindergarten, first grade and the beginning of second grade so that she lacked academic fundamentals, which placed her far below her classmates. As to Student’s behavior, Ms. Butler adequately explained that the behavioral issues noted on the report card were not unusual for second grade students based on her experience, observations of Student, information from Student’s teacher, and lack of disciplinary referrals. 8. Therefore, Student failed to demonstrate that District knew or should have known that Student might require special education services that would trigger the District’s legal obligation to assess Student for eligibility to receive special education services. Student’s academic deficits were directly related to her excessive absences, which caused Student to fall significantly behind her classmates. Student did not prove that her absences were related to any suspected disability that should have caused the District to assess her. Additionally, Student did not establish that she had significant behavioral problems that would warrant an assessment. Accordingly, the District did not have an obligation to assess Student for special education eligibility while she attended Lincoln. 9. Before a school district takes any action with respect to the initial placement of a student with exceptional needs in special education, the district must conduct an individual assessment of a student’s educational needs, which the district must document. The district must deliver an assessment plan to a parent within 15 days of the assessment request. An IEP meeting to review the assessment results must occur within 60 days of the receipt of parental consent for the assessment, not counting days between the student’s school sessions and vacations in excess of five school days. If the IEP team determines that the student is eligible for special education services, the district must convene an IEP meeting within 30 days to develop a proposed placement and services for the student’s initial IEP. 10. Failing to timely convene an IEP meeting to discuss an assessment is a procedural violation of the Individuals with Disabilities Education Act (IDEA). Not every procedural violation is sufficient to support a finding that a school district denied a student a FAPE. A student has not received a FAPE only if the procedural violation did any of the following: (1) impeded the student’s right to a FAPE; (2) significantly impeded the parent’s opportunity to participate in the decision-making process; or (3) caused a deprivation of educational benefits. 11. Special education law requires a school district to provide a notice of procedural safeguards to parents when they request a special education assessment for their child, or the child is referred for a special education assessment. In addition, if parents request an assessment, and the district refuses to assess the child, it must provide parents with prior written notice explaining its reasons for not assessing the child. 12. Student contends that the District failed to timely assess her after Mother’s January 10, 2012 assessment request. The District asserts that Mother withdrew her request after speaking with Marshall Principal Marla Van Laningham and agreeing that the District could attempt general education interventions to improve Student’s academic performance. 13. On January 10, 2012, Mother requested that the District assess Student for special education eligibility. Ms. Van Laningham received the request and contacted Mother because the request did not state why Mother believed Student might require special education services, other than her receiving therapy and being on mediation. Ms. Van Laningham found out from Mother her concerns about Student’s academics and not wanting to do homework. Ms. Van Laningham requested that Mother withdraw her assessment request and go through the student study team (SST) process, which would discuss the reasons for Student’s deficits and propose general education interventions to improve her academics. According to Ms. Van Laningham, she followed District policy to convene a SST team meeting to discuss the assessment request, the reasons for Student’s struggles and whether to try general education interventions before assessing Student. 14. The parties dispute whether Mother gave Ms. Van Laningham verbal rescission of the assessment request. However, if Mother verbally rescinded her assessment request it is likely that she did not understand the consequence of her actions because Ms. Van Laningham did not give Mother notice of her procedural rights after the special education assessment request. Further, Ms. Van Laningham did not acknowledge Mother’s rescission in writing and or in the January 13, 2012 SST meeting notes, which supports Mother’s denial of giving verbal recession of her assessment request. 15. Student established that she did not verbally agree to rescind her assessment request, or if she did rescind it, that she lacked informed consent because the District failed to provide Mother with notice of her procedural rights. Therefore, the District failed to timely assess Student after Mother’s January 10, 2012 assessment request. 16. After the SST meeting, the District began providing Student with additional general education supports. These supports included daily language arts intervention for 30 minutes, and afterschool tutoring with a District instructional assistant. Marshall had college students work with students weekly on reading, but Student only attended one or two sessions because of her absences. These supports were provided to all Marshall students who needed academic assistance. 17. After Mother requested the assessment, Ms. Van Laningham reviewed Student’s educational record and discovered Student’s numerous absences at Lincoln. Ms. Van Laningham surmised that Student’s academic deficits might be the result of missing too much instruction. Therefore, Ms. Van Laningham discussed with Mother, at the SST meeting, improving Student’s attendance. 19. Student contended that her academics did not improve after the District implemented general education interventions. However, Student failed to present credible evidence to counter Ms. Gabriel. Ms. Gabriel was credible that Student’s academic performance improved with the general education interventions and Student’s improved attendance. Ms. Gabriel’s observations were corroborated by Martha Drummond, a District teacher assistant since 1997, who provided language arts intervention to five to six students, including Student. Student behaved appropriately during the half-hour intervention and her reading fluency improved according to testing before and after the intervention. 20. Student attempted to use her March 2, 2012 report card to establish that she failed to make appropriate educational progress, even with added general education support. However, Ms. Gabriel established that although Student was far below basic in her reading and writing skills and primarily below basic in math standards, those deficits were the result of excessive absences before Marshall and while at Marshall. Student attended Marshall for 36 school days during the second trimester, but missed seven of those days, about 20 per cent, and was late to school in excess of 30 minutes seven times, when practice of the day’s prior instruction occurred. When Student did attend on a consistent basis, Ms. Gabriel noticed improvement, which would evaporate when her attendance problems manifested. 21. Student did not present credible evidence that established that the source of Student’s academic problems was her excessive absences. Student’s reliance on the March 2012 report card did not prove that she qualified for special education services due to a qualifying disability. Ms. Gabriel was convincing that based on her numerous years of teaching and first-hand knowledge of Student, that Student’s problems were caused by her numerous absences. Student’s only expert, Stephen Maher, only provided testimony as to whether the District assessed Student in all areas of suspected disabilities, which will be discussed below, and not whether academic performance as shown in her grades established that she required special education services. 22. Student contends that due to her ADHD, she was not able to access the general education curriculum due to attention problems. Also, Student asserted that she was the victim of bullying because of her social deficits. The District argued that Student was no more distractible in class than a typical second grader and easily redirected back to task, and that she had friends and got along well with her classmates in and out of class. 23. The only evidence of Student’s classroom behavior was from Ms. Gabriel, and she was convincing based on her experience educating second grade students and working with Student, that Student did not have an in-class behavior or attention problems that prevented her from accessing the classroom curriculum. Student’s attention was typical of second grade students who at times could be distracted and go off task. However, Ms. Gabriel could easily redirect Student back to task. 24. Student was shy in class and did not like to be in front of a large group. Student would participate in group instruction, but would freeze up if asked to make a presentation in front of the class. Ms. Gabriel worked with Student and by the end of the school year Student made a presentation before her class with Ms. Gabriel next to her. Also, Ms. Gabriel got Student to perform a dance with her classmates before a large group. 25. Out of class, Student contended that other students bullied her and that she had extreme difficulty communicating with her classmates. Student’s contention is not persuasive, as she had friends at Marshall, and Ms. Gabriel and Ms. Van Laningham observed Student playing with classmates at recess and lunch in a typical fashion with the usual disputes. Ms. Van Laningham investigated a bullying allegation for which Mother kept Student out of school for two weeks in April 2012, and found no basis in the allegation. Ms. Gabriel also never observed or heard from other students that Student was bullied. 26. Student’s attempt to use her “needs improvement” on her March 2, 2012 report card for various behavior skills did not establish the need for special education services or contradict Ms. Gabriel’s observation of Student’s behavior and interpersonal relationship skills. Therefore, Student failed to establish that Student had any significant behavior or social emotion deficits that prevented her from accessing the general education curriculum or from establishing and maintaining typical second grade friendships. 27. Student attempted to prove that she had significant mental health issues based on her threatening suicide. On or about May 7, 2012, Grandmother informed District ombudsperson Cynthia Kilby that Student had expressed suicidal thoughts. Ms. Kilby contacted Marshall and District school psychologist Emily Ochoa was assigned to conduct a suicide risk assessment. Ms. Ochoa obtained Mother’s consent on May 9, 2012, to conduct the threat assessment. As part of the threat assessment, Ms. Ochoa spoke to Student, Mother, Grandmother, and Ms. Drummond. Based on the information obtained, Ms. Ochoa determined that Student was at low risk for self-harm. Mother did little to contradict this assessment of the situation. Additionally, subsequent information from Kimberly Diggins, a marriage family therapist intern at Stanford Youth Solutions, who had worked with Student since September 2011 on improving her defiant behavior at home, supported Ms. Ochoa’s threat assessment. 4 Therefore, Student failed to establish that she had significant mental health issues that affected her ability to access the general education curriculum. 28. A school district is obligated to assess a student in all areas related to the student’s suspected disability. Student asserts that the District failed to assess her in all areas of suspected disability as the District did not assess speech and language, social skills and auditory processing deficits and need for assistive technology. The District contends that it conducted a thorough assessment in all areas of suspected disability and that areas Student contended were not areas of suspected disability, and that Student’s deficits were caused by her poor school attendance. 29. The District prepared an assessment plan on April 16, 2012. Gerry Ryan, District resource specialist at Marshall, prepared the assessment plan based on information discussed at an SST meeting on Student’s academic progress, behavior problems and attendance issues. Ms. Ryan’s assessment plan proposed assessing Student in the areas of academic achievement, psychomotor development, intellectual development, socialemotional and behavior, and health. Ms. Ryan would conduct the academic assessment, Ms. Ochoa would conduct the psychomotor development, intellectual development, and social-emotional and behavior portions of the assessment, and District school nurse Theresa Stutz the health assessment. 30. Ms. Ryan called Mother on April 16, 2012, and told her that the assessment plan was at the Marshall front office for her to pick up, review and sign. Ms. Ryan saw the assessment plan still in the front office the next day and after waiting a couple of days began contacting Mother over the next month. Some times Ms. Ryan would speak directly to Mother about the assessment, or left telephone messages. When speaking to Mother, Mother indicated that she would come to the office to sign the assessment plan. One time, Ms. Ryan spoke to Mother in person in the office and Mother indicated that she needed to speak to her attorney about the assessment plan. Ms. Ryan offered to fax the assessment plan to Mother’s attorney, but Mother declined. Mother finally signed and returned the assessment plan on May 15, 2012, and the District began assessing Student the next week. 31. Ms. Ochoa obtained her masters degree in school psychology and her Pupil Personnel Services Credential to be a school psychologist in 2007. Ms. Ochoa’s first employment as a school psychologist was as a school psychologist intern with the District in SY 2006-2007, and as a permanent school psychologist with the District starting the following school year through the present. Ms. Ochoa’s education and training included conducting psychoeducational assessments and the assessment tools she administered in assessing Student. Ms. Ochoa has conducted 300 to 400 psychoeducational assessments, including initial assessments for special education eligibility. Therefore, Ms. Ochoa was qualified to assess Student based on her education and experience and qualified to administer the test instruments used assessing of Student. 32. Ms. Ochoa was already familiar with Student before the assessment due to her interaction with Student, Mother, Grandmother and Ms. Drummond, and review of Student’s information as part of the suicide threat assessment. Mother discussed her concerns about Student’s lack of academic progress during the past two years, problems getting along with others, behavior problems at home and Student’s ADHD and medication for ADHD. Before administering any test instruments on Student, Ms. Ochoa reviewed Student’s educational records. Ms. Ochoa was aware of Student’s diagnosis of oppositional defiance disorder (ODD) before commencing the assessment. Ms. Ochoa’s review of Student’s educational records showed her long-running attendance problems. 5 Larry P. v. Riles (9th Cir. 1986) 793 F.2d 969, forbids the use of standardized IQ tests to determine the cognitive abilities of African American children for special education eligibility. 33. Because Student is African-American, Ms. Ochoa could not administer an IQ test, and therefore used the Naglieri Nonverbal Ability Test (NNAT) to assess Student’s reasoning and problem solving skills in a nonverbal context. 5 Ms. Ochoa also decided to administer the Wide Range Assessment of Memory and Learning, Second Edition (WRAML-II) to assess Student’s ability to learn and memorize information. Ms. Ochoa administered the Beery-Buktenica Development Test of Visual Motor Integration (VMI) to look at Student’s fine more skills, visual planning and coordination of her visual perception and finger and hand movement. The Comprehensive Test of Phonological Processing (CTOPP) examines phonological skills related to reading and obtains information as to Student’s auditory processing. Ms. Ryan administered the Woodcock-Johnson Tests of Achievement, Third Edition (WJTA-III) to measure Student’s academic performance. These assessment tools were administered in a separate room with no other children present. To examine Student’s behavior, Ms. Ochoa selected the National Initiative for Children’s Healthcare Quality’s, Vanderbilt Assessment Scales (VAS) and the Behavior Assessment System for Children, Second Edition (BASC-II) questionnaires for Ms. Gabriel and Mother to complete. For the assessment, Ms. Ochoa spoke to Ms. Gabriel and Ms. Dibbles, as well as observed Student in her classroom and on the playground. 34. On the NNAT, Student’s nonverbal reasoning score was in the average range Student remained focused, interested and motivated even as the test questions got harder, contrary to what would be expected with a student with a significant attention deficit. 35. On the WRAML-II, Student had above average scores all areas tested, verbal memory, the story memory and verbal learning, visual memory, the design memory and picture memory, and learning memory, the finger windows and number letters. The WRAML-II results did not indicate any visual, verbal processing attention or concentration deficits, contrary to Student’s contention. 36. On the VMI, Student’s score placed her in the average range, which indicated that she did not have a visual motor processing disorder. Additionally, because the VMI has the student copy geometric forms, an average score indicates a student does not have fine motor deficits. 37. With the CTOPP, the phonological awareness composite measures a student’s phonological awareness and phonological structure of oral language. Student’s score was average. The phonological memory composite measures the ability to store information in working and short-term memory, and Student’s score was high average. The final composite area is rapid naming, which measures efficiency in information retrieval from long-term or permanent memory and Student had average score. The CTOPP results did not indicate any auditory processing disorder or any problem with Student’s memory or information retrieval. 38. Ms. Ryan administered the WJTA-III, and expectedly nearly all of Student’s cluster scores for math and reading scores were below average. Student’s lowest standard scores were 75 for math reasoning and 78 for reading comprehension and highest of 98 for written expression, with the remaining seven cluster scores in the 80’s. The WJTA-III scores were reflective of Student’s classroom performance, but not so deficient that could not be explained by Student’s numerous absences that caused her to be behind her peers. 39. The VAS is used to measure attention deficits and behavior problems common with children and adolescents with a questionnaire. The VAS questionnaire Ms. Gabriel completed did not show significant attention problems, oppositional defiance or conduct disorder, which were concerns Mother raised. The only clinically significant area of concern was anxiety or depression, as the criteria was met with a score greater than two and Ms. Gabriel’s score was three. 40. The BASC-II is a questionnaire that measures a variety of emotional and behavioral problems in children. A clinically significant score suggests a high level of maladjustment while at-risk suggests a problem that should be monitored to prevent it from becoming worse. The only significant area of concern on Ms. Gabriel’s questionnaire was anxiety. The at-risk areas included internalizing problems, depression, attention and learning problems, withdrawal, social skills and functional communication. Ms. Ochoa explained that while there were several areas where Student was at risk and one clinically significant area, the overall score on the BASC-II behavioral symptoms index score was 60, barely in the at risk range of 60 to 69. 41. Student did challenge the behavior information Ms. Ryan obtained with the VAS and BASC-II because Ms. Ochoa did not have Mother complete the ratings forms, only Ms. Gabriel. However, as established in Factual Finding 66, Ms. Ochoa gave Mother the VAS and BASC-II forms and Mother never completed and returned them. 42. Additionally, Student attempted to prove that Student had more significant behavior, attention and mental health deficits by selectively choosing Ms. Gabriel’s answers on the VAS and BASC-II questionnaires. Ms. Ochoa convincingly explained that the manuals for both the VAS and BASC-II cautioned using responses from any particular question in making a broad conclusion about a student and that the appropriate manner to examine a student are the composite scores that each test provides. Therefore, Student failed to establish that District’s psychoeducational assessment showed that Student had significant attention, behavior or mental health problems that affected her school performance. 43. A school district must assess a student in all areas of suspected disability and cannot use a sole measure or procedure to determine whether the student has a disability, qualifies for special education services or develop an appropriate educational program. Student contended that the District failed to assess her in all areas of suspected disability by not conducting a speech and language, OT or AT assessment and failure to conduct a more thorough assessment of Student’s behavioral, attention and mental health needs. The District asserted that it appropriately assessed Student in all areas. 44. education and school principal with the Pleasanton Unified School District (Pleasanton). As part of his job duties over 39 years, Mr. Maher attended thousands of IEP team meetings, and was the administrative designee for Pleasanton, which included discussing areas of suspected disability for which Pleasanton should assess a student. Mr. Maher did not indicate any first-hand experience in directly assessing students for special education services. For his testimony, Mr. Maher reviewed Student’s educational record, but did not interview or observe Student and did not speak to Mother, Grandmother or any District personnel. 45. Because Mr. Maher has never assessed a student for special education services, coupled with his not meeting Student or speaking to any person involved in her education, his opinion whether the District assessed Student in all areas of suspected disability is entitled to little weight. In contrast, Ms. Gabriel, Ms. Ochoa and Ms. Ryan have extensive experience and education in assessing students, met with Student and other adults involved in her education, and therefore their opinions are entitled to greater weight. 46. Mr. Maher opined that the District should have conducted a speech and language assessment as his document review indicated that Student had expressive and pragmatic language deficits. However, Ms. Gabriel was convincing that Student could easily communicate with her classmates, understand classroom instructions and the interpersonal disputes she observed were typical of second grade students. Ms. Gabriel established through her first-hand observations that Student did not have a suspected speech and language disability that the District needed to assess. 47. As to auditory processing, OT and AT, Mr. Maher lacked the expertise to opine whether the District failed to assess Student adequately in these areas. Mr. Maher did not understand that the CTOPP assessed Student’s auditory processing and her classroom performance belied any need for further testing. As to OT, Ms. Gabriel observed Student’s fine motor skills and she had great handwriting and no problem writing in class, corroborating the VMI score. Student displayed appropriate gross motor skills on the playground and in physical education and no indication of sensory deficits. Finally as to AT, Student did not present any credible evidence that she needed an AT assessment. 48. As to Student’s social-emotional and mental health needs, Mr. Maher’s opinion that the District needed to assess Student further was based on a different picture of Student’s needs than actually existed. Mr. Maher focused on the fact that Student had expressed suicidal thoughts without looking as to the findings in Ms. Ochoa’s threat assessment that found low risk after speaking with Student, Mother and Grandmother, which Mr. Maher did not do. Additionally, Mr. Maher did not speak to Ms. Dibbles, which Ms. Ochoa did in her assessment and at the June 6, 2012 IEP team meeting, who stated that Student’s emotional problems manifest themselves at the home, not at school. Accordingly, Student did not establish that the District failed to thoroughly assess Student’s socialemotional and mental health areas of need. 49. Ms. Ochoa, Ms. Ryan and Ms. Gabriel presented convincing evidence as to Student’s areas of need based on their education, experience and first hand knowledge of Student, which Student failed to rebut. Further, Ms. Maher’s lack of experience in assessing students and failure to obtain first-hand knowledge of Student undercut any limited weight his expert opinion may have provided. Thus, Student did not establish that the District failed to assess Student in all areas of suspected disability. 50. A pupil who is eligible for special education and related services is entitled to receive specially-designed instruction and related services that meet his or her unique needs to benefit from a public education. To be eligible for special education, a pupil must not only meet the criteria for a specific educational disability, but also demonstrate that modification of the regular school program cannot meet student’s need and that he or she needs special education and related services. 51. Student contends that the District improperly failed to find her eligible for special education services under the category of SLD or OHI. Additionally, Student argued that the District failed to consider whether she qualified for special education services under the category of ED. The District asserted that Student did not qualify for special education services as any academic deficits she might have had were caused by excessive absences and that ED was never a suspected area of eligibility raised by Mother, Ms. Gabriel or anyone else during the assessment process. 52. A pupil qualifies for special education services under the category of SLD if the student has a disorder in one or more of the basic psychological processes involved in understanding or in using language, spoken or written, which may manifest in an impaired ability to listen, think, speak, read, write, spell, or do mathematical calculations, and has a severe discrepancy between intellectual ability and academic achievement. 53. Ms. Ochoa’s assessment found that a significant discrepancy existed between Student’s intellectual ability as determined by the NNAT and the WRAML-II and her academic performance, and Student’s ADHD diagnosis indicated an attention disorder. The parties’ dispute as to SLD focused on whether the discrepancy was primarily the result of limited school experience or poor school attendance. 54. Student did not have an expert testify that Student’s academic deficits were not related to her excessive absences that limited her exposure to basic reading, writing and mathematic concepts, in contrast with the testimony of Ms. Ochoa, Ms. Gabriel, Ms. Van Laningham, Ms. Drummond, and Ms. Butler. During first grade, Student missed 20 days of instruction out of 180 school days, and was late to school 54 times. As of May 31, 2012, Student had missed 38 days, and was late to school 31 times. Ms. Gabriel and Ms. Van Laningham convincingly explained the impact of missing so many days of school would have on a student by missing instruction on academic fundamentals and the practicing of these basic building blocks of knowledge needed to be mastered to move onto the next step. Ms. Gabriel noted Student’s academic improvement during the rare times of consistent attendance and that Student would backslide during an extended absence that necessitated reteaching concepts that Student had already mastered before the extensive absence. 55. Student attempted to explain that the absences were the result of bullying related to Student’s disability, but provided no credible evidence to support this contention. Mother’s testimony and her notes written at the time of the purported incidents did not show that any alleged bullying was related to any suspected disability. Additionally, the District’s psychoeducational assessment showed that despite Student’s excessive absences, she was not extremely behind her classmates on academic achievement tests. Finally, Student’s end-ofthe-year report showed academic progress as she moved from far below basic to below basic or basic in language arts, and while remaining below basic in math. 56. While Student was behind her classmates academically, she was behind due to her excessive absences and not due to any learning disability. As Ms. Diggles explained to the District during the assessment process and at the June 6, 2012 IEP team meeting, the reason for Student’s absences were related to issues at home that she was working on with Student, Mother and Grandmother. Accordingly, Student did not establish eligibility for special education services under the category of SLD as any academic discrepancy was the result of excessive absences not related to any qualifying disability. 57. OHI requires the student to have limited strength, vitality, or alertness, including a heightened alertness to environmental stimuli, that results in limited alertness as to the educational environment, due to chronic or acute health problems such as attention deficit disorder or attention deficit hyperactivity disorder that adversely affects the child’s educational performance. 58. The District does not dispute Student’s ADHD diagnosis and that Mother brought to its attention concerns she had about Student’s ability to attend during classroom instruction. However, the uncontroverted testimony of Ms. Gabriel, Ms. Ochoa, Ms. Van Laningham and Ms. Butler, who all had observed Student, established that Student was no more distractible than her classmates and could easily be redirected back to attention with general education supports that her teachers used with all students. Student did not present any evidence from anyone who observed Student in class that her ADHD adversely affected her educational performance. Therefore, Student did not establish that she qualified for special education services under the category of OHI. 59. To be eligible for special education and related services under the category of ED, a child must exhibit one or more of five characteristics over a long period of time, and to a marked degree, and the child’s educational performance must be adversely affected as a result. The characteristics are: (1) an inability to learn which cannot be explained by intellectual, sensory, or health factors; (2) an inability to build or maintain satisfactory interpersonal relationships with peers and teachers; (3) inappropriate types of behaviors or feelings under normal circumstances exhibited in several situations; (4) a general pervasive mood of unhappiness or depression; and (5) a tendency to develop physical symptoms or fears associated with personal or school problems. 60. Student contends that the District failed to consider her eligible for special education services under the category of ED, which it should have based on information it possessed as to Student’s mental health, like what led to the suicide risk assessment, and problems Student had at school with her classmates. The District asserted that it did not possess information at the time of the assessment that indicated that Student might be eligible for special education services under the category of ED, and even if the District considered that category, Student would not have been found eligible for special education services. 61. As to the first characteristic of ED, as noted above, Student had ability to learn when attending school and that her absences were not related to any difficulties at school. For the second characteristic, Student was able to develop friendships with her classmates and maintained satisfactory relationships with District personnel. Regarding the third prong, Student did not establish inappropriate behavior or feelings under normal circumstances as Student’s behavior was typical for a second grade student and her anxiety and depression not significant, or exhibited in several situations to a marked degree. 62. As to the fourth characteristic, while Student expressed unhappiness, thoughts of suicide and VAS and BASC-II results indicated depression as an area of concern, Student did not establish that these feeling were pervasive to a marked degree over a long period, and Ms. Gabriel did not observe these feelings affecting Student’s classroom performance. Finally as to the fifth characteristic, Student did not establish that her absences were the results of physical symptoms or fears related to school. Information Ms. Diggles provided to the District as to third, fourth and fifth characteristics showed that any problems were related to issues at home that she was working with the family on resolving. 63. Student did not present any expert evidence to contradict Ms. Ochoa that Student did not exhibit any indication that she might qualify for special education services under the category of ED when she assessed Student. Student did not present evidence to contradict Ms. Gabriel’s observation that Student got along with her classmates and staff and did not present any serious emotional problems. Information from Ms. Dibbles, including the ODD diagnosis, which the District possessed, was not sufficient to establish any need to assess Student or consider her eligible under the category of ED. Therefore, Student failed to establish that the District needed to consider ED as an eligibility possibility during the assessment process and at the June 6, 2012 IEP team meeting or that she qualified under ED. 64. Parents of a child with a disability must be afforded an opportunity to participate in meetings with respect to the identification, assessment, educational placement, and provision of a FAPE to their child. A district must fairly and honestly consider the views of parents expressed in an IEP meeting. School officials may not arrive at an IEP meeting having firmly decided on the program they will offer. A district does not predetermine an IEP simply by meeting to review and discuss a child’s evaluation and programming in advance of an IEP meeting. However, a district violates the parents’ right to participate in the IEP process if it predetermines the child’s program and does not consider the parents’ requests with an open mind. The test is whether the school district comes to the IEP meeting with an open mind, and discusses and considers the parents’ education recommendations and concerns before the IEP team makes a final recommendation. 65. Student contended that the District did not consider Mother’s input as to her academic and behavioral struggles during the assessment process by failing to obtain information from Mother as to Student’s academic, behavioral and social-emotional difficulties. Further, Student argued that the District predetermined that Student was not eligible for special education services before the June 6, 2012 IEP team meeting. The District asserted that it obtained information from Mother when Ms. Ochoa interviewed her. Further, Mother did not complete assessment surveys given to her and the District considered information presented at the IEP team meeting as to Student’s special education eligibility, but the overwhelming evidence is that Student did not require special education services. 6 Ms. Ochoa obtained other information regarding Mother’s concerns in Student’s educational records, such as Mother’s notes to the school and information provided at the SST meetings. 66. Mother informed Ms. Ochoa about Student’s behavior problems at home, being bullied at school, difficulty in completing homework, and information about Student’s therapy from Ms. Diggles. 6 Ms. Ochoa knew that Student was diagnosed with ODD and ADHD. Ms. Ochoa sent home BASC-II and VAS questionnaires for Mother to obtain information about Student’s behavior from Mother. However, Mother never completed these forms despite Ms. Ochoa’s attempts. Mother’s memory as to whether she received these forms was circumspect at best, and not as credible as Ms. Ochoa’s recollection of her sending home the forms and attempting to get Mother to complete the forms. 67. Regarding parental input at the June 6, 2012 IEP team meeting, Mother and Grandmother discussed Student’s problems at home and school, and Ms. Diggles attended and presented information she had from working with Student. The fact that the District did not agree with Mother and Grandmother that Student was eligible for special education services did not mean that the District disregarded this information. Student attempted to show that the District, through Ms. Van Laningham, predetermined its decision not to find Student eligible based on information she presented at the May 31, 2012 Student Attendance Review Board (SARB) meeting. 68. On the SARB information summary page presented to District attendees, Ms. Van Laningham summarized Student’s absence history and attempts previously taken to improve her attendance. Also included was information that Student had filed a due process hearing complaint and that the District was in the midst of assessing her for special education eligibility. Ms, Van Laningham wrote in her opinion that it was unlikely that Student would be found eligible because her academic problems were the result of her absences and not due to any qualifying disability based on information she possessed at that time. 69. While Ms. Van Laningham wrote her opinion to the SARB board, Student presented no evidence that Ms. Van Laningham shared her opinion with the other District IEP team members, or that they had predetermined any belief that Student was not eligible for special education services based on Ms. Van Laningham’s comment. Also, Mother did not state at the IEP team meeting or at hearing that she had seen a copy of the SARB information sheet that Ms. Van Laningham presented to the SARB board, or that the SARB board told her that it did not believe Student would not be found eligible for special education services based on her absences. 7 Ms. Bryant, while knowledgeable of Student’s due process complaint, was not told by Marshall personnel or special education staff involved in Student’s assessment that Mother signed the assessment plan on May 15, 2012, and that the assessment was completed and IEP team meeting held on June 6, 2012, until nearly two weeks after their completion. 70. Additionally, Ms. Van Laningham explained that what she wrote was based on information she possessed at that time, which did not include information from Ms. Ochoa or Ms. Ryan. If the information presented at the June 6, 2012 IEP team meeting, including the assessment report, established Student’s eligibility, Ms. Van Laningham would concur with that finding. Ms. Ochoa and Lisa Friend, District program specialist who facilitated the IEP team meeting and its note taker, were convincing that no person from the District pressured them to find Student not eligible for special education services. 7 Further, as established in Factual Findings 52 through 63, Student did not prove her eligibility for special education services because her academic deficits were the result of her poor attendance, and she did not have significant behavioral deficits that impeded her ability to access the general education curriculum. Therefore, Student did not establish that the District failed to obtain information from Mother during the assessment process or IEP team meeting, ignored critical findings or that the District predetermined that Student would not qualify for special education services. 71. If a parent disagrees with a school district’s assessment of a student, parent may request a publicly funded IEE. There is no requirement that the parent specify why parent disagrees with the school district’s assessment. Nor is there any statutory or regulatory time limit for requesting an IEE after a school district has conducted an assessment, other than the two-year statute of limitations imposed by California law for the filing of a due process complaint. If a district is unwilling to fund an IEE, it must, within a reasonable time, file a request for a due process hearing to establish the appropriateness of its assessment. If a district unnecessarily delays in filing a request for a due process hearing because it does not want to fund an IEE, it may be liable for funding an IEE, even if its own assessment was appropriate. If the assessment is found to be appropriate after a due process hearing, i.e., it complies with all state and federal requirements for assessments pursuant to the IDEA, the district will not be required to fund an IEE. 72. Timelines for school districts to decide how to act when a parent requests an IEE are purposively short. It is in the child’s interest for the IEP team to have current and accurate information when making decisions about goals and placement. If a school district’s assessment is not legally sufficient, the IEP team may make significant errors in determining the child’s educational program. Therefore, a school district must act promptly to either agree to fund an IEE, or to file a complaint to validate the assessment previously completed by the district. If the school district’s assessment is insufficient, the administrative law judge may promptly order the school district to fund an IEE, so that the student is afforded an offer of placement and services based on an accurate assessment. 73. Student contends that she is entitled to a District-funded IEE because Mother twice disagreed with the District’s assessment and requested an IEE, and the District failed to timely request a due process hearing to defend its assessment. Additionally, Student contends that she should receive an IEE because the District failed to assess her in all areas of suspected disability. The District contends that Student is not entitled to an IEE because the May 30, 2012 IEE request was premature because the assessment was not completed and that the IEE request was made because Student’s legal counsel was not aware of pending assessment and he requested the IEE based on the District’s purported failure to assess Student. Also, Mother never requested an IEE after the June 6, 2012 IEP team meeting. 74. Mother signed the District’s assessment plan on May 15, 2012, and the District started assessing Student the next week. The District did not complete and present the assessment reports until the June 6, 2012 IEP team meeting. The fact that the District completed its testing on May 30, 2012, does not mean that the District had completed the assessment for Mother to disagree and request an IEE because the District did not present the assessment until the June 6, 2012 IEP team meeting. Therefore, any IEE made on May 31, 2012, was premature because there was no assessment available to contest. 75. Additionally, the May 31, 2012 IEE request from Student’s legal counsel was due to his belief that the District had not started the assessment process because Mother had not informed him of that fact. The request for the IEE was also not due to any disagreement, but the mistaken belief that the District would not complete any assessment until the next school year, and purported need for an IEE to get assessment information sooner. 76. Student did not present any credible evidence that Mother directly or through legal counsel requested that the District conduct an IEE after June 6, 2012. Mother could not identify any District employee to whom she made the IEE request, other than possibly Ms. Kilby. However, Ms. Kilby never received such a request from Mother. Ms. Kilby recalled speaking to Mother and Grandmother about Student’s absences, the transfer from Lincoln to Marshall, bullying on campus and Student’s suicidal ideations, but never contact with Mother as to an IEE request. Additionally, while Ms. Kilby’s duties include working with parents to resolve concerns with the District, her duties do not include the receipt of IEE requests. Finally, Student did not introduce any evidence that her legal counsel made an IEE request due to Mother’s disagreement with the June 6, 2012 District assessment. 77. Therefore, Student is not entitled to a District-funded IEE because the May 31, 2012 IEE request was made before the District had completed its assessment, and thus no assessment for Mother to disagree with. Also, Student did not present evidence on how the District should have responded to a premature request and the IEE request made based on the mistaken belief that the District had not started the assessment process. Student did not introduce credible evidence that either Mother or her legal counsel made an IEE request on or about June 13, 2012. Accordingly, Student is not entitled to a publicly funded IEE request because neither Mother nor Student’s legal counsel made a timely and proper IEE request. 78. Student asserted that the District failed to timely produce Student’s complete cumulative education record, which significantly prevented Mother from participating in Student’s educational decision-making process. The District contended that it produced Student’s complete educational record and any delay in producing the documents was not significant and did not impede Mother’s participation in the decision-making process. 79. Mother through legal counsel requested educational records from the District on February 8, 2012. The educational request went to Marshall and the Superintendent’s office. Ms. Van Laningham contacted the District’s legal office on how to respond to the request, but did not get a response. On February 14, 2012, Student’s legal counsel made a second records request to Marshall. Ms. Van Laningham again contacted the District’s legal office, who told her to send Student’s entire cumulative education file at Marshall. Ms. Van Laningham instructed Dawn Aragon, Marshall’s office and attendance clerk, to fax Student’s cumulative education file. 80. On February 15, 2012, Ms. Aragon faxed 41 pages, including the coversheet, to the fax number of the record request. A female who received the fax told Ms. Aragon that she only received 39 pages. Ms. Aragon explained that the fax machine may have taken two pages at a time on a couple of pages and offered to re-fax the documents, but was told that it was not needed and Ms. Aragon would be contacted if the documents needed to be re-faxed. As to the concurrent document request to the District headquarters, the District was not required to respond to that request because Marshall maintained and produced all of Student’s educational records that existed at that time. 81. Student established that the District had additional educational records in February 2012, which it did not send to Student’s legal counsel as those documents were in the District’s August 2012 document production. However, the several pages of documents not produced in February 2012, were merely prior school enrollment forms from Folsom Cordova and similar District documents. While the documents had information that Student had ADHD and ODD, the documents did not provide any new information about Student’s deficits and disability that was not included in the other produced documents. Additionally, Student did not establish how the missing documents impeded Mother’s participation in Student’s educational decision-making process or denied Student an educational benefit. 82. Student’s legal counsel made another document request to Marshall on June 21, 2012, the day after Marshall closed the school office for the summer. Therefore, the document request went unanswered and not picked up until the office staff returned in mid-August 2012. Because Marshall did not turn off the office fax machine, the fax was reported as completed. A request was also sent to the Superintendent’s office, not the special education department or the District’s legal counsel, which was not responded to. 83. The District did provide Student’s educational records on August 22, 2012 and August 24, 2012. Student did not establish that the District failed to produce Student’s complete educational record. Additionally, Student did not establish that any purported delay in production significantly impeded Mother’s ability to participate in Student’s educational decision-making process. Student did not amend her complaint after receiving the additional documents, nor request a continuance of the due process hearing. Therefore, Student failed to establish that the missing documents from the March 2012 document production or late production after the June 21, 2012 request significantly impeded Mother’s participation in the educational decision-making process or denied Student any benefit. 84. The only violation of the IDEA that Student proved was the District’s procedural violation in not timely assessing Student after Mother’s January 10, 2012 request. The District’s conduct did not deprive Student of any educational benefit or deny her a FAPE because she was not eligible for special education services, even if the District had assessed her soon after the January 2012 request. Even though the District’s procedural violation prevented Mother from participating in Student’s educational decision-making process, Student did not establish what any remedy should be, especially because she is not eligible for special education services and suffered no harm due to the delay. Therefore, Student did not establish the right to any remedy for the District’s procedural violation. A child ineligible for IDEA opportunities in the first instance cannot lose those opportunities merely because a procedural violation takes place. Cf. Nack ex rel. Nack v. Orange City Sch. Dist., 454 F.3d 604, 612 (6th Cir.2006) (procedural violation denies a FAPE “only if such violation causes substantive harm to the child or his parents” (internal quotation marks and citation omitted)). In other words, a procedural violation cannot qualify an otherwise ineligible student for IDEA relief. . . . Because we affirm the district court’s acceptance of the SEHO’s determination that R.B. does not qualify for IDEA relief, we hold that the District’s procedural violation in the composition of R.B.’s IEP team is harmless error. R.B., ex rel. F.B. v. Napa Valley Unified School Dist. (9th Cir. 2007) 496 F.3d 932, 942. Issue 1: Did the District fail to perform its child find duty by failing to provide comprehensive assessments in all suspected areas of disability from September 2011 until May 23, 2012, which denied Student a FAPE? Issue 2: Did the District deny Student a FAPE by failing to timely assess Student upon Parent’s written request in January of 2012? 11. Pursuant to Factual Findings 3 through 8 and 12 through 15 and Legal Conclusions 1 through 10, the District was not required to assess Student before January 10, 2012, when Mother made an assessment request to the District. Before January 10, 2012, Student’s academic deficiencies were due to excessive absences during kindergarten, first grade and the first half of second grade. Student’s conduct in and out of class did not show signs of attention or behavior problems. Mother did not rescind her assessment request, which the District did not rebut with any written notice to confirm the recession. However, Student did not prove how the procedural violation caused Student to lose any educational benefit or deny her a FAPE because she was not eligible for special education services. (Legal Conclusions 26 through 28.) Therefore, the District was not on notice that it needed to assess Student for special eligibility before Mother’s request and Student did not establish that the District’s actions regarding its response to Mother’s assessment request denied her a FAPE. Issue 3: Does the District’s June 2012 assessment of Student deny Student a FAPE because it failed to involve the parent, disregarded critical findings, and failed to consider eligibility under the category of emotional disturbance? 19. Pursuant to Factual Findings 66 through 70 and Legal Conclusions 1 through 6 and 12 through 18, Student did not establish that the District failed to involve Mother in the assessment and eligibility determination process, disregarded critical findings or failed to consider Student eligible for special education as of ED. As to Mother’s participation, Ms. Ochoa obtained information as to Student’s academic and behavioral deficits in her May 9, 2012 interview of Mother and Grandmother, and considered that information in her assessment and the District IEP team members considered information from Mother at the June 6, 2012 IEP team meeting. The fact that the District did not find Student eligible for special education services does not mean that the disregarded Mother’s information. 20. Pursuant to Factual Findings 60 through 63 and 66 through 70 and Legal Conclusions 1 through 6, 12 through 18 and 24, the District did not err in not considering ED as a possible eligibility category in its psychoeducational assessment or at the June 6, 2012 IEP team meeting. ED was not an area of suspected eligibility, as Student did not demonstrate any indication that she might be eligible as ED. Additionally, information Ms. Ochoa obtained during her assessment did not bring forth any information that she needed to assess Student as ED or to consider that as a possible eligibility category. Accordingly, the District considered all relevant information from all sources during the assessment process and at the June 6, 2012 IEP team meeting and no information existed that the District should have assessed Student for ED. relationships with peers and teachers. circumstances exhibited in several situations. Issue 4: Did the District deny Student a FAPE by failing to find her eligible for special education and related services from September of 2011 through the present? 26. Pursuant to Factual Findings 52 through 63 and Legal Conclusions 1 through 6 and 21 through 25, Student did not establish eligibility for special education services under the category of SLD, OHI or ED. As to SLD, while Student had a discrepancy between her intellectual ability and academic performance, along with an attention disorder, the discrepancy could be explained by Student’s excessive absences. Student did not establish that the discrepancy was the result of her attention disorder, and did not present any credible evidence that Student’s academic deficits were not the result of her excessive absences and could not be remedied with regular attendance. 27. As to OHI, Student did not demonstrate that her ADHD caused significant attention problems in class that prevented her from accessing the general education curriculum. Student presented no first-hand evidence that Student could not maintain attention in class like a typical second grader and was not easily redirected when off-task with simple techniques used with all students. Additionally, any academic deficit was the result of her excessive absences and she did not exhibit any significant behavior problems. 28. Finally as to ED, while Student’s assessment found some indication of anxiety and depression, Student did not establish that these were the cause of Student’s academic or behavioral problems, or information Ms. Diggles provided to the District that the cause was in Student’s home. Student was able to maintain interpersonal relationships with peers as no evidence existed that she was bullied. Student did not display any signs of ODD, inappropriate behaviors, or persuasive mood of unhappiness at school. Additionally, any academic deficits could be explained by her excessive absences and no display of significant behavior problems at school. Therefore, Student failed to establish that she was eligible for special education services under the category of SLD, OHI or ED. 29. Pursuant to Factual Findings 52 through 63 and Legal Conclusions 1 through 6 and 21 through 28, because Student did not qualify for special education services, the District was not required to develop an appropriate educational program pursuant to the IDEA. Therefore, Student failed to prove that the District denied her a FAPE. 31. When a student requests an IEE, the public agency must, without unnecessary delay, either file a request for due process hearing to show that its assessment is appropriate or ensure that an IEE is provided at public expense. (34 C.F.R. § 300.502(b)(2); Ed. Code, § 56329, subd. (c).) The public agency may ask for the parent’s reason why he or she objects to the public assessment, but may not require an explanation, and the public agency may not unreasonably delay either providing the independent educational assessment at public expense or initiating a due process hearing. (34 C.F.R. § 300.502(b)(4).) Neither federal or California special education laws or regulations set a specific number of days for a school district to file a due process hearing request after a parent requests an IEE. 10 Upheld on appeal, M.M. v. Lafayette School District (9th Cir. 2012) 681 F.3d. 1082. Issue 6: Did the District deny Student a FAPE by failing to comply with Student’s requests for an IEE on May 31, 2012 and June 13, 2012? 33. Pursuant to Factual Findings 74 through 77 and Legal Conclusions 1 through 6 and 30 through 33, Student did not establish a right to a District-funded IEE. The May 31, 2012 IEE request was premature because the District had not completed the assessment because Ms. Ochoa had not finished her report. The fact that the District had finished the assessment testing the day before does not mean that District had completed the assessment because the assessment report was not completed and presented until the June 6, 2012 IEP team meeting. The use of the past tense in Education Code, section 56329, subdivision (c), with an IEE request if a parent disagrees “with an assessment obtained” by the school district can only be interpreted that the assessment is completed. 11 Further, the May 31, 2012 request was made based on a mistaken belief that the District had not started the assessment process. Additionally, Student did not establish that the District had any obligation to respond to the premature IEE request. Finally, Student failed to present any credible evidence to establish that a June 13, 2012 IEE request was made. Accordingly, Student is not entitled to a publicly funded IEE. Issue 7: Did the District violate Student and Parent’s procedural rights by failing to provide Parent with a full and complete copy of Student’s educational records when requested in February, March and June of 2012? 35. Pursuant to Factual Findings 79 through 83 and Legal Conclusions 1 through 6 and 34, Student failed to establish that the District violated Student and Parent’s procedural rights. Although there were a slight delay in the District producing the requested records after the initial February 2012 request, and several documents were missing, Student did not show how the slight delay and missing Student information documents significantly impeded Mother’s ability to participate in Student’s decision-making process. As to Student’s June 21, 2012 record request, Student offered no explanation why the request went to Marshall, which was then closed for the summer, and not directly to the District’s legal counsel involved in the April 13, 2012 due process hearing request, or to the special education department. Additionally, Student’s legal counsel never inquired about the document request, which established that any failure to produce documents was not important to the prosecution of Student’s case against the District. Finally, Student did not show that when the District produced the requested documents that there were any missing documents. Accordingly, Student failed to establish any procedural violation regarding the District’s production of Student’s educational records. 12 Nothing in this decision should be considered as an endorsement of the District’s failure to provide Mother with notice of procedural rights when she made the assessment request or not providing her with written notice regarding the purported verbal rescission of her assessment request, and the District may consider training on these issues. Education Code section 56507, subdivision (d), requires that the hearing decision indicate the extent to which each party has prevailed on each issue heard and decided. Student partially prevailed on Issues 1 and 2, and the District prevailed on Issues 3, 4, 5, 6, and 7 and partially prevailed on Issues 1 and 2.